Dengue is transmitted by Aedes mosquito infected with dengue viruses. 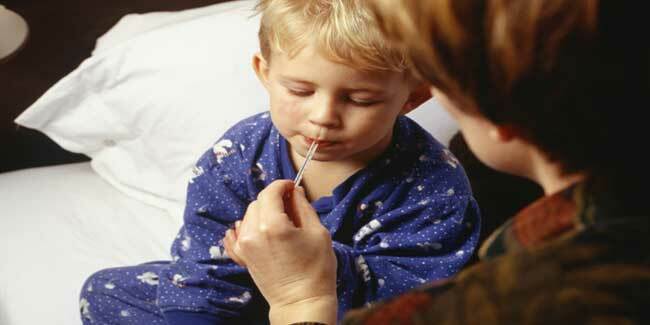 You can experience mild to high fever when you get affected by it. Drinking adequate amounts of water is extremely important. Also drinking herbal tea made of basil, ginger, and cardamom helps. As if mosquitoes didn’t cause enough trouble with malaria. Dengue is just another day’s work – bringing woe to 50 million people worldwide, every year. Dengue is transmitted by the bite of an Aedes mosquito infected with any one of the four dengue viruses. Like malaria, it occurs in tropical and sub-tropical areas of the world. The symptoms appear 3—14 days after the infective bite. Dengue fever is a febrile illness that affects infants, young children and adults. Symptoms range from a mild fever, to incapacitating high fever, with severe headache, pain behind the eyes, muscle and joint pain and rashes. But the strange thing is that there are no specific antiviral medicines for dengue. However, early clinical diagnosis and careful clinical management by experienced physicians and nurses can lead to survival of patients. Dengue fever is not a fatal problem if not associated with other complications as well as not misunderstood and wrongly treated. Due to dengue fever, the affected patient may feel pain around his body and joints, however, in any condition he should not be given pain killers, it may cause internal bleeding and it may make the case worse. It is better to be under doctor's treatment for the cure of this ailment. The home remedies at the same time help to fight the disorder with internal resistance without any side effect. However, you can consult your doctor about the justifiability of the home remedies before you practice them. Water balance in the body is a prerequisite for faster response for treatment; so, adequate consumption of water as well as diluted fruit juice helps to retain the normalcy. Dhatura is the Ayurvedic name of belladonna homeopathic medicine; it is a potential medicine which can reduce the complications. However, the doses need to be determined by the Ayurvedic professional because overdose of this medicine may lead to problem of serious dilation of eyeballs and dryness of mouth. Consumption of diluted orange juice helps in indigestion and strengthens the immune system and improves internal energy to fight the crisis of fever. Consumption of fresh extract of papaya leaves helps to cure the disease. You need to extract juices from a fresh papaya leaves, two table spoonful of this juices serves a single day's dose. This is an excellent home remedy for the cure of dengue fever. If the fever is on higher end, administration of paracetamol group of medicine brings down the fever. Frequent consumption of herbal tea made of basil, ginger, and cardamom helps to provide a fresh feeling for the patient. If there was not motivation enough before, there should be now - fried foods are to be avoided in this situation. The patient is advised for bed rest at least for 15 days – workaholics, think of it as a holiday, and spend the time meditating on how to prevent these kinds of sick leaves next time onwards! Application of neem tonic on body, made with tender neem leaves, works well to fight the situation. Herbal syrup made of kakamachi herbs need to be consumed in two cups amount everyday fights the situation. Consumption of basil leaves decoction helps curing the fever and fever related weakness. Diseases like dengue fever can no sooner be wished away than a cure for it be found. So, it is smarter to avoid the disease altogether. Dengue fever in its earliest stage, no doubt, has every chance of recovery. However, dengue hemorrhagic fever is a more severe form of the viral illness. It is a potentially lethal complication, affecting mainly children. Manifestations include headache, fever, rash, and evidence of hemorrhage in the body. Petechiae (small red or purple blisters under the skin), abdominal pain, vomiting, bleeding in the nose or gums, black stools or easy bruising are all possible signs of hemorrhage. This form of dengue fever can be life-threatening or even fatal. The facts and figures seem disturbing because they are. And the daily news does nothing to allay it, only add fuel to the fire. When you are using the mosquito repellant spray the next time, remember it is not just the most popular mosquito disease you are avoiding – but its close relative, dengue, too!